ON Semiconductor (Nasdaq:ON), driving energy efficient innovations, continues to enable battery-less and maintenance-free IoT with the introduction of its RSL10 Multi-Sensor Platform powered solely with a solar cell. This complete solution supports the development of IoT sensors using continuous solar energy harvesting to gather and communicate data through Bluetooth® Low Energy, without the need for batteries or other forms of non-renewable energy. For easy development, the platform is supplied with all design files (Gerber, schematic and BoM) and customisable source code as part of a CMSIS software package. 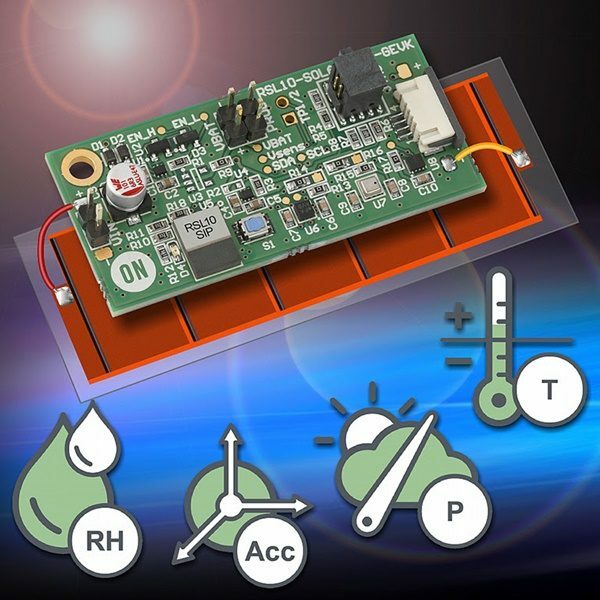 The RSL10 Solar Cell Multi-Sensor Platform is available now from ON Semiconductor alongside a number of other energy-efficient rapid prototyping platforms for IoT, including the Energy Harvesting Bluetooth Low Energy Switch which just was just named 2018 China’s Most Competitive IoT Solution by China Electronic Magazine.